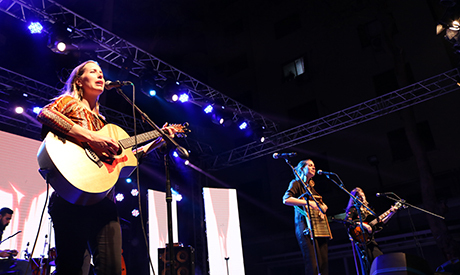 Four performances by women musicians and bands took place at the Greek Campus of the American University in Cairo on Friday, as part of the ongoing Downtown Contemporary Arts Festival (D-CAF). 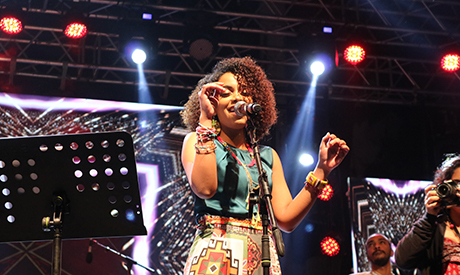 Promising Nubian talent Maram sung Sudanese and Egyptian covers in her first-ever public performance. 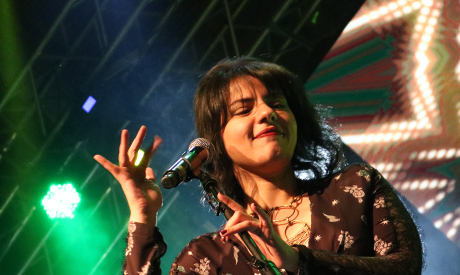 Maram, who has released two videos recently, sung eight famous songs during the gig, including Taa Netlam, Malo, Nawasi, Sokkar and Ya Balash, in a poppish adaptation, backed by powerful beats that got the crowd moving. 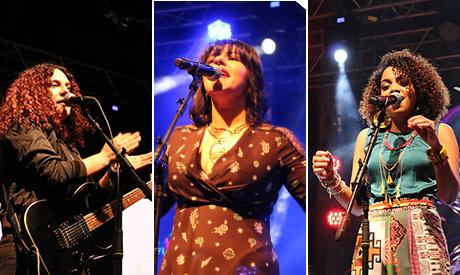 "I am so happy my first performance happened at such an important festival like D-CAF festival. 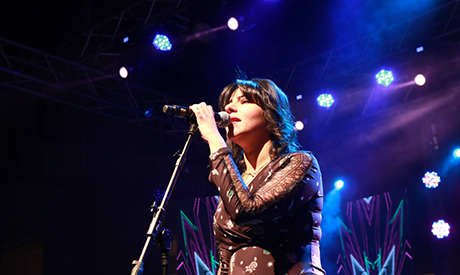 Big thanks to my band who really supported me and all the thanks to the amazing crowd," Maram told Ahram Online. 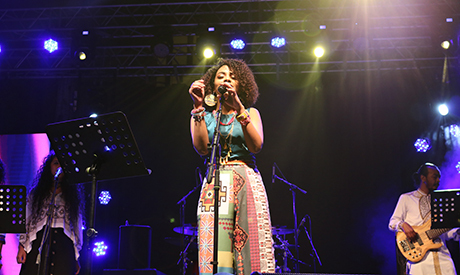 She was followed by Shereen Abdo, who gave an impressive performance of her own original songs and some folk tunes, to big applause from the audience. 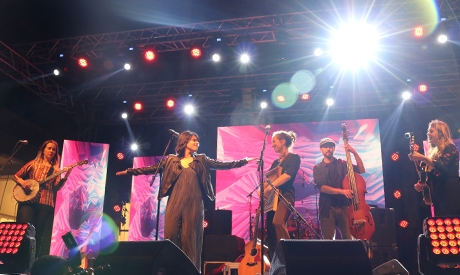 Abdo sang her own material, Akher Leila Fe December and Bokra, in addition to her jazzy arrangements of Betghanny Li-Meen, El-Leil El-Hady and Aho Da Elly Sar which had the crowd singing along. The young singer and composer has previously performed alongside giants like Ziad Rahbani and Fathy Salama. American folk girl-band T-Sisters then took the stage, performing some folk songs from their home country in addition to some pop tunes, starting with the Beatles' Because (The Earth is Round). The three sisters, Chloe (percussion), Erika (guitar), and Rachel (guitar/banjo) together showed off their acapella talents, and then Abdo joined them to sing I Put a Spell on You. 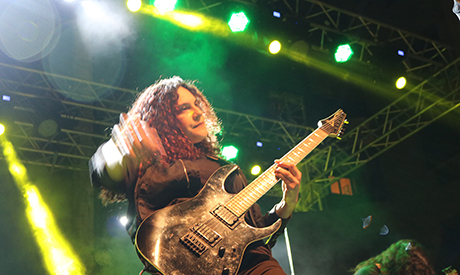 The concert ended with Egyptian-Canadian metal band Massive Scar Era, AKA Mascara, in their first performance in Egypt since 2013, to the cheers of the crowd. "I am thrilled with our return. So delighted that fans still remember our songs. This is obvious proof that metal music is still present and demanded. 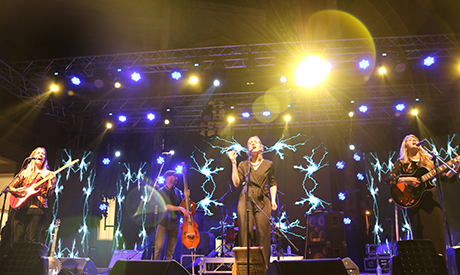 It was a great experience for all of us," the lead vocalist and guitar player Chereine Amr told Ahram Online. The band, founded by Amr and Nancy Mounir in 2005, played almost all their songs at the concert, including Colour Blind, Oblivious, 30 Years, Comes Around You, Pray, and Alive. 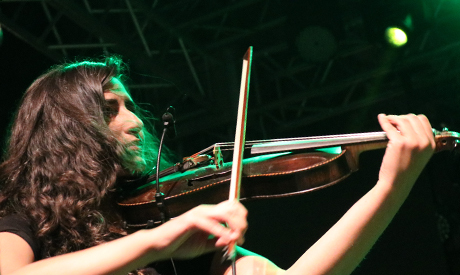 This year’s D-CAF, the eighth edition, is putting on 40 different events, including performing arts, concerts, urban vision performances, new media events, film screenings, and workshops, featuring artists from Egypt and abroad.